​During my graduate studies and then again while working as a postdoctoral researcher, I repeatedly encountered technological barriers, feeling that I could tackle my scientific questions much easier if I just had the right tools. Many times the commercial solutions are expensive or lacking, and as a result I found myself designing personally costumized tools. Below are a few examples of the projects I created in the past few years. Monitoring food intake: the dispenser allows for monitoring the food intake by recording each event of usage by the animal. Foraging behavior: the mouse needs to actively seek food, thus simulating a more naturalistic setting. 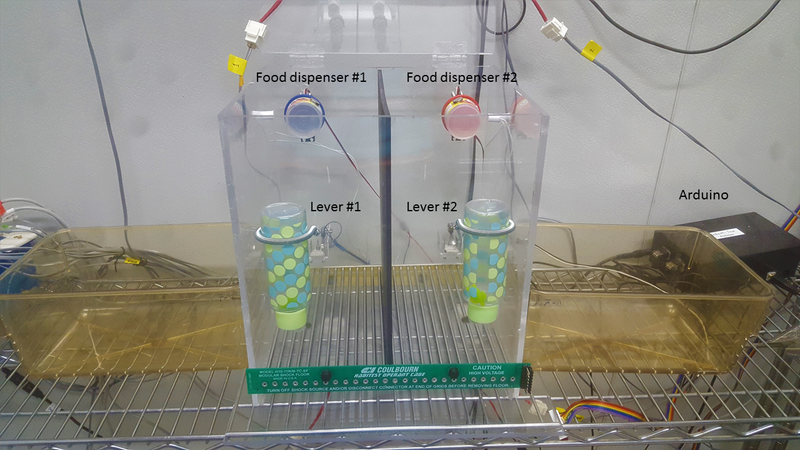 Seeing that the commercial food dispensers are extremely expensive, I decided to try and design a behavioral cage using an Arduino microcontroller. The picture on the right shows two mouse cages, separated by an opaque black divider. Automatic sleep scoring: A growing interest in sleep research over the past few decades has led to a rapid increase in the quantity of polysomnographic data. The large quantity of available data creates a need for reliable and accessible analytical tools for researchers. On the left are figures created with ‘sleep’, a package I wrote in R version 3.3.0, that classifies mouse and rat electroencephalography (EEG) and electromyography (EMG) signals into three different vigilance states: wake, non-rapid eye movement (NREM) sleep and rapid eye movement (REM) sleep. The package also offers data visualization tools: users can generate a power spectral plot and a hypnogram using either raw or scored data. In our efforts to validate this package, we compared the automatic scoring output generated by the ‘sleep’ package with manual scoring output by experienced scorers of continuous 24 h recording of EEG and EMG data from 6 mice. I found 92% agreement between the two methods of classifying the data. 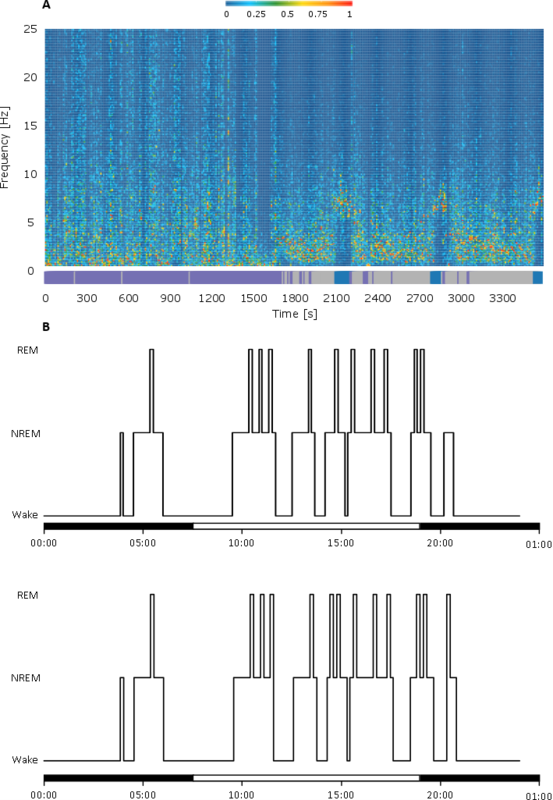 The ‘sleep’ package offers a free alternative for analyzing mouse and rat polysomnographic data, and I believe that it can serve as a platform upon which other users will further build and develop free analytical tools to benefit sleep research.